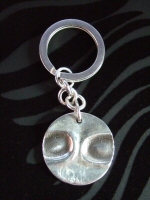 Keyring -Price includes an additional silver disc professionally engraved with the date the fingerprint was taken and the child's initials. 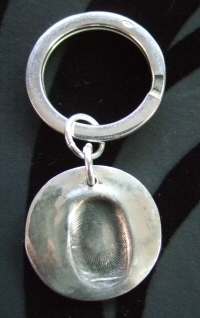 Keyring with chain -Price includes an additional silver disc professionally engraved with the date the fingerprint was taken and the child's initials. Scatter chain Keyring -Price includes an additional silver disc professionally engraved with the date the fingerprint was taken and the child's initials.